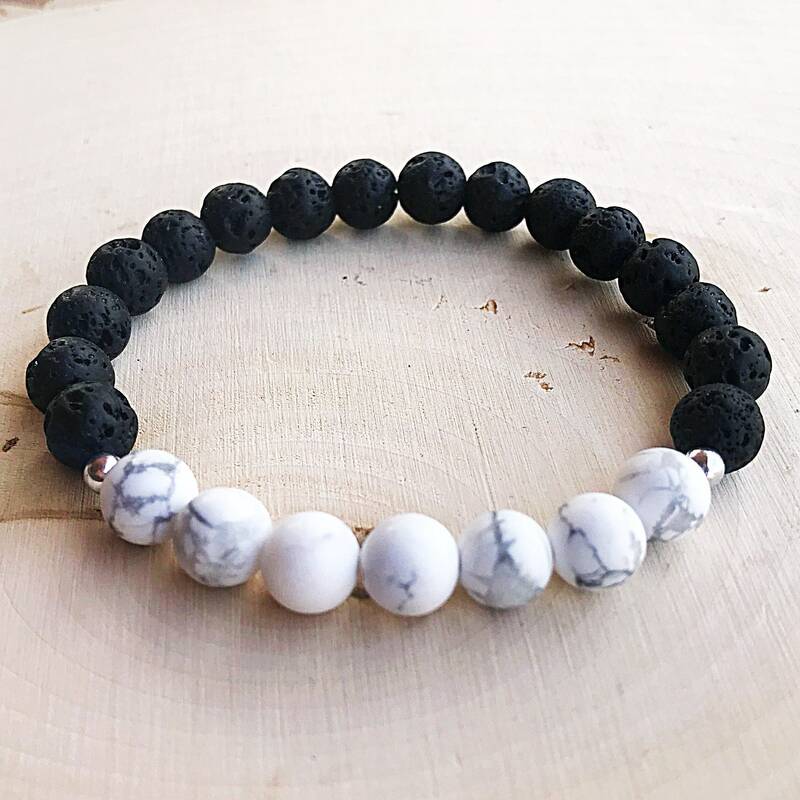 This Howlite and Lava bracelet features natural 8mm stone beads on stretch chord. The beads have been infused with Reiki healing energy. 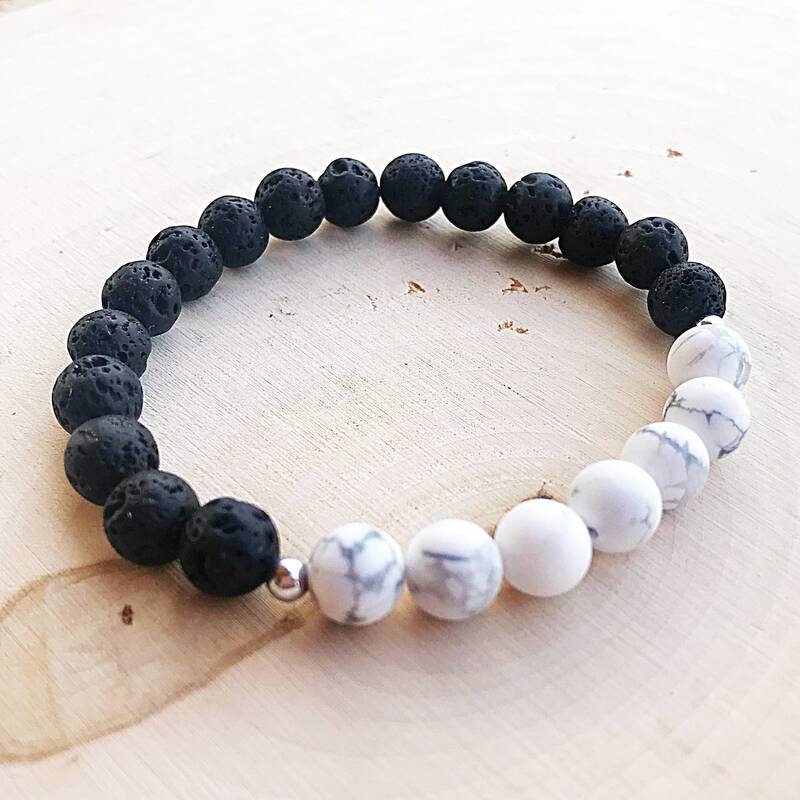 Lava beads can be used for aromatherapy with essential oils. 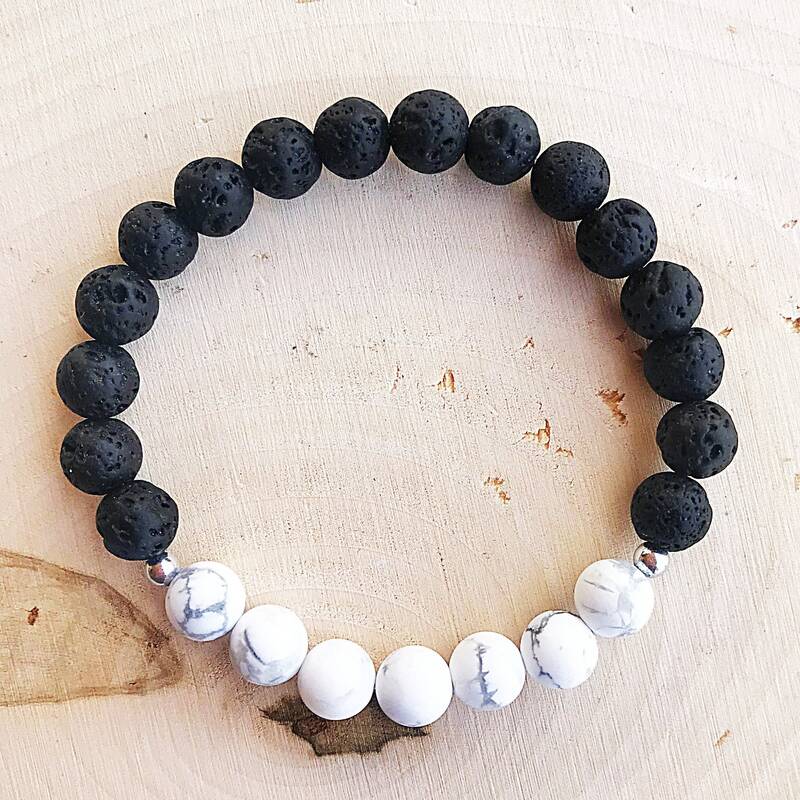 Place a drop or two of oil on the Lava bead, allow it to absorb, and you've got a wearable essential oil diffuser! Please measure around the wrist with a measuring tape to determine correct length. If you would like a different length than is listed in the options, please send me an email, I can do any custom size! Please note that these are natural stones, and are not exactly uniform in shape, size, or texture. Reiki is said to enhance each stones healing properties. 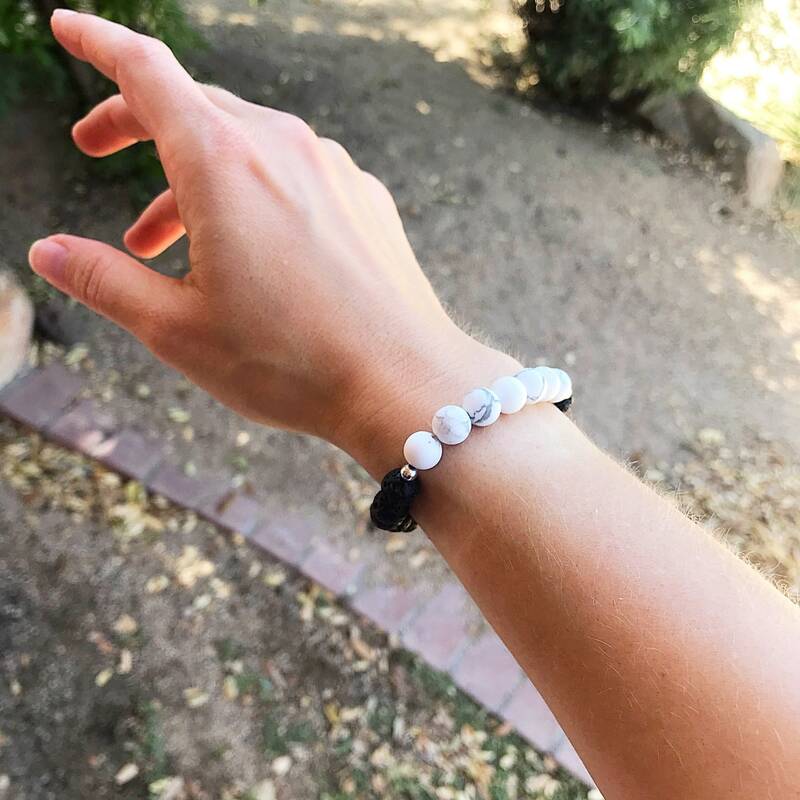 Wearing Reiki jewelry and can relieve stress and anxiety, calm the mind, increase energy and give the wearer an overall feeling of healing. If you would like a different length than is listed in the options, please send me an email, I can do any custom size! Please note that these are natural stones, and are not exactly uniform in shape, size, or texture. 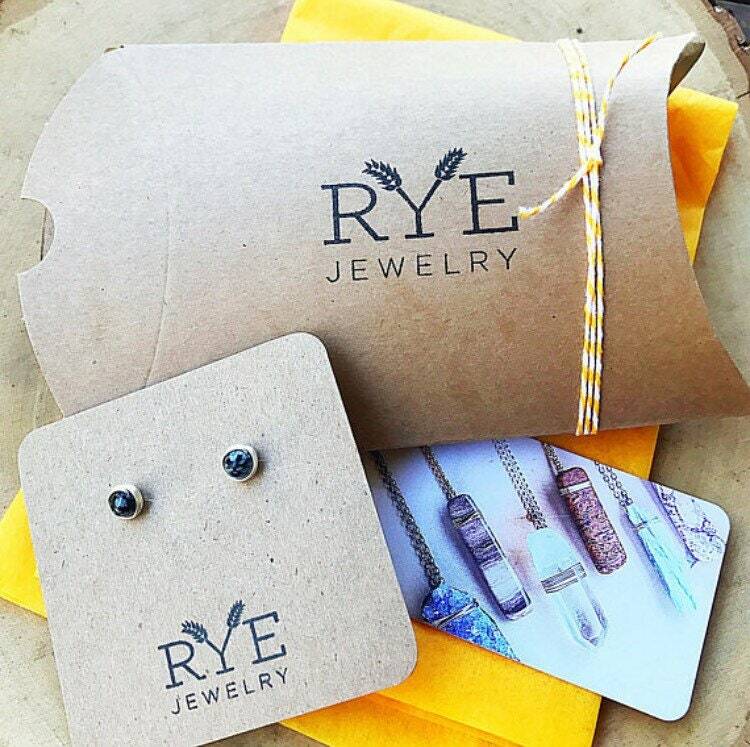 Perfect bracelet, great craftsmanship, beautiful and fast shipping. highly recommended.